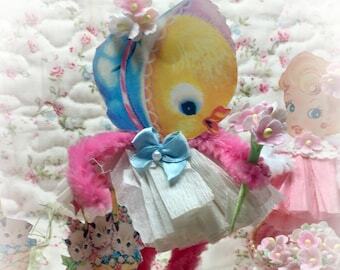 his is for one handmade vintage style bump chenille vintage/retro Easter bunny girl or boy or both. 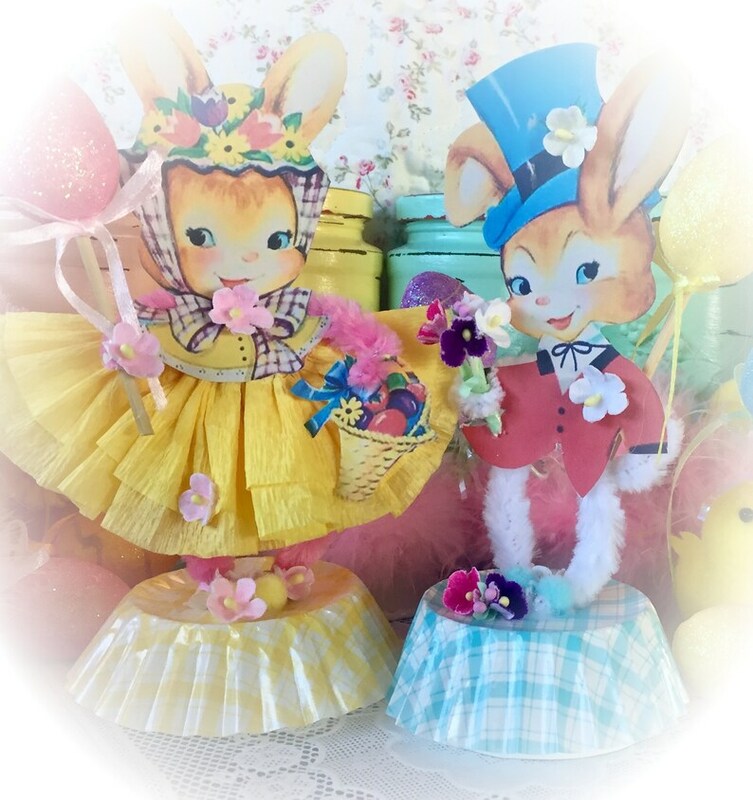 They are created from a real (but reproduced) vintage Easter cards. She is embellished with a yellow crepe paper dress with vintage forget me not millinery flowers. She holds a pink glitter egg and an Easter basket in her other hand. 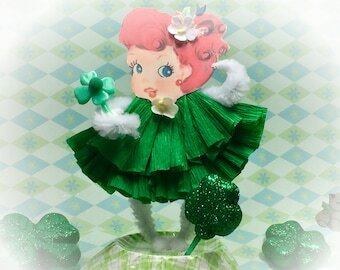 Her body is of pink bump chenille pipe cleaners wears yellow pom pom shoes. 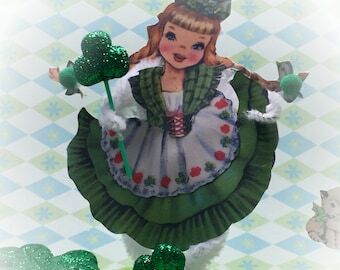 She stands on a yellow plaid base adorned with more vintage forget me not flowers. She simply will bring a smile to anyone's face. He is embellished with vintage forget me not millinery flowers in which he holds a bouquet of them in his right hand and a yellow glitter egg in his left. His top hat has a vintage forget me not millinery flower and a matching one as a boutonnière. 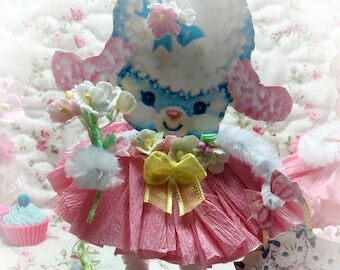 His body is of white bump chenille pipe cleaners and he wears blue pom pom shoes. He stands on a blue plaid base adorned with more vintage forget me not flowers. He simply will bring a smile to anyone's face. Quantity: 1 boy or girl, or both. You choose upon check out.